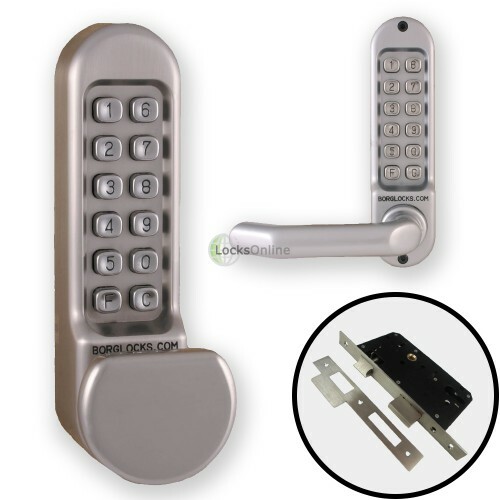 With code-restricted operation from both sides of the door, this back-to-back combination lock with keypad entry on both sides, comes with a flat style, low-profile knob on the outside, with a comfort grip lever handle on the inside. Although you may reverse this if you want, to have the handle on the outside and the knob on the inside. 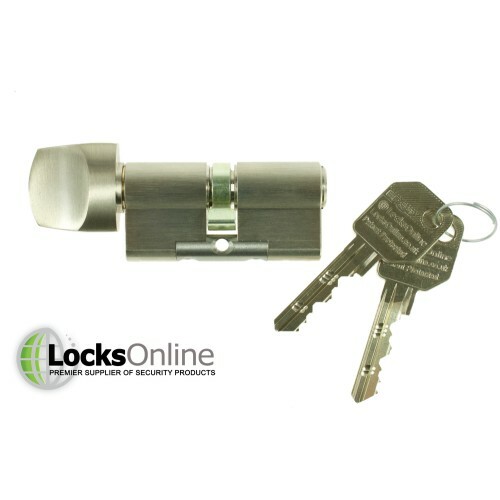 These are supplied with a euro lock case, suitable for use with euro profile cylinders, allowing you to fully deadlock the door to allow for high security times where you do not wish for anyone to be able to enter or exit without the use of a key. Alternatively in this case, you can also use a euro cylinder with a thumbturn on the inside, to allow escape in the event of an emergency. 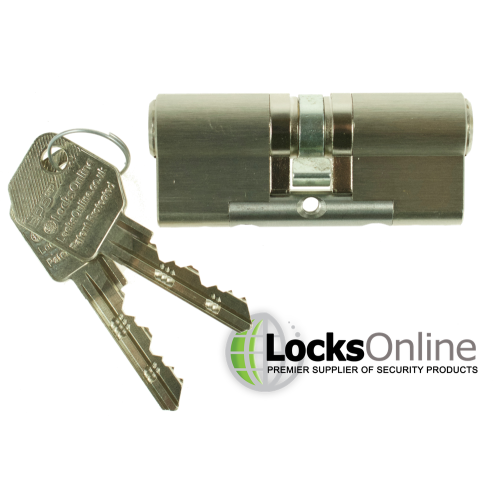 We have an offering of the most common forms of high security cylinders listed as an option to buy below, which will work with this combination lock setup. You can use any cylinders you like, but we recommend ours for various reasons; they are high security, protected against picking, bumping and drilling, as well as being hand built here in our workshops with solid steel cores which create resistance against snapping. 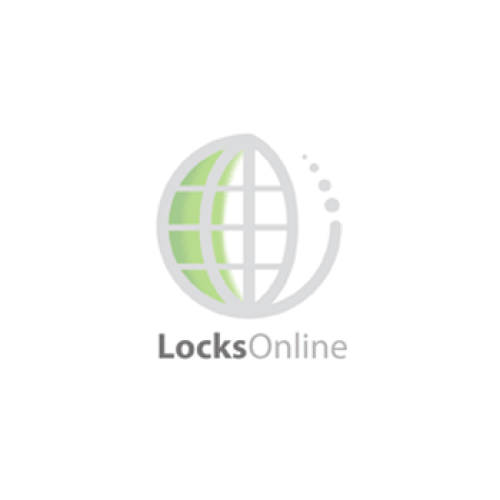 What's more, we will master-key or key-alike your cylinders free of charge, giving you the most diverse solution possible. 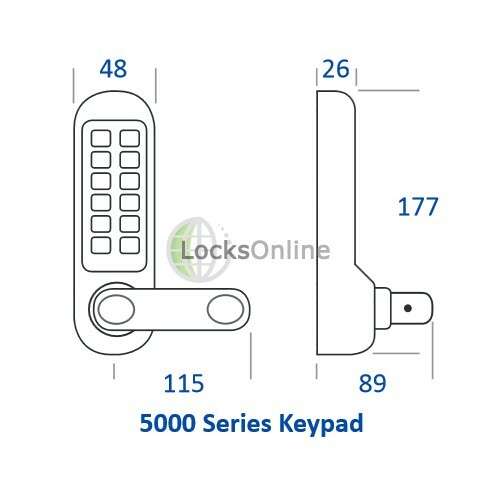 The Borg 5000 series of combination locks are for medium to heavy duty use, and this is evident in the build quality. 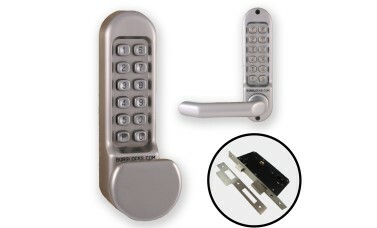 The handle mechanisms are clutched as well to prevent any damage in the event of attempted forced entry, or indeed innocent 'abuse' caused by incorrect code entry then trying to push down on the handles expecting it to open. 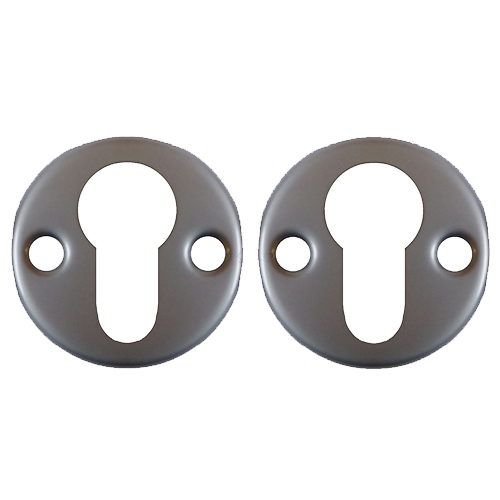 The latches as mentioned are also deadlocking latches, so typical latch-slipping attacks you may be concerned about are taken care of by a simple pin embedded within the latch which locks the latch into the outward position when the door is closed into the frame. Also available on these combination locks is the ever-popular free-passage mode. 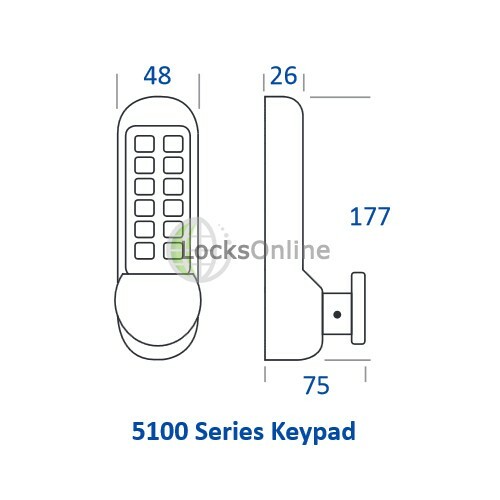 For those of you who require this, it is a simple to engage function which comes as standard on all of the Borg 5000 series combination code locks. Simply by entering your combination code and pressing 'F', the device will no longer require a code to operate, until the F button is pressed again to return to standard code-required entry mode. For those who don't require this functionality, well you can ignore this button all together - but it may come in handy in the future!